Today is the last debut of the season. And yes, I know I went over the original seven, but there were so many amazing debuts to showcase. So the final debut of 2017 is Lisa Thompson. 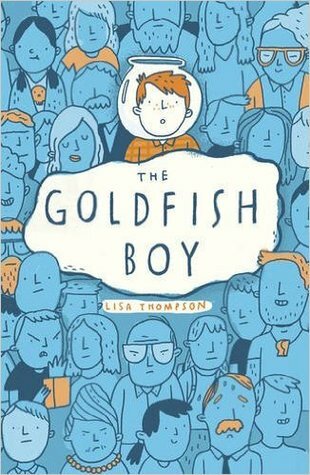 Lisa's debut The Goldfish Boy was published by Scholastic this month. Yes! Very regularly. I spent decades writing on and off and constantly made excuses to myself that I didn’t possibly have the time to finish a book. It took me years to realise that if I wanted to do this I had to be dedicated. Another reason for wanting to quit is hearing all the negativity out there aimed at would-be writers; you’ll never get off the slush pile, there are a million unpublished manuscripts hitting agent’s desks each week, you need to know someone in the industry etc. It does wear you down, but, you know what? Sometimes it does happen and now I wish I’d tried harder a lot earlier. Looking back I also think I was too frightened to try in case I failed and then that would mean my dream would be over. Better to fantasize that; ‘one day I’ll be a writer’ than actually ‘try to become a writer’. How ridiculous! It was only when I was approaching 40 that I finally thought – okay let’s do this and I gave myself a year to get an agent. What was your reaction when you knew it would be published? My agent took a bit of a risk sending my manuscript when he did as it was just days before the Frankfurt Book Fair and we were a bit concerned that it could get lost amongst the masses. However, it paid off as the wonderful French publisher Pocket Jeunesse were very quick to buy the rights. As soon as that happened it went a bit crazy and there was more interest over the next week or so. I couldn’t sleep and I had a constant pain in my jaw where I’d been clenching my teeth for 24 hours a day (I ended up getting a mouth-guard to use at night!) but I was utterly ecstatic. There was interest from a few UK publishers so I knew at this stage that my book really was going to be printed, even if I didn’t know who with! About ten days after it had gone out on submission my agent forwarded an email he had received from Lauren Fortune, a commissioning editor at Scholastic. She had clearly fallen head over heels for The Goldfish Boy and her email was so passionate about wanting to buy it that I actually sank down into a heap onto the kitchen floor! How dignified. It feels incredibly surreal and it’s almost as if I’m on the outside looking in. I write under my maiden name as a tribute to my lovely Dad who died in 2007 so the whole thing has been very emotional. He loved reading and from a young age he used to take me to the library and we’d walk home talking about the books we loved. I know he would have been so proud to see my name in print. How have you kept yourself occupied in the run up to publication day? 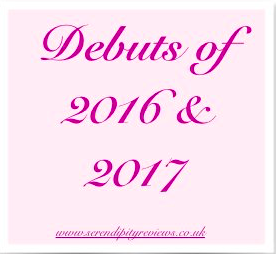 It’s been a very busy year and incredibly interesting to see how the publishing world works! I’ve been into London a few times for meetings with Lauren, my UK editor, and was thrilled that my editor from the US was over for a holiday last summer so I got to have lunch with him too. I’ve been growing my on-line presence as an author, on Twitter, Instagram and Facebook and I’ve also got a great guy building a website for me so I’ve been writing the copy for that. I recently ran my first workshop for a class of year 6 children who were kind enough to be my guinea pigs and not laugh at me fluffing my lines. Then of course there has been the small matter of editing The Goldfish Boy (two big-ish ones for a bit of restructuring, then copy edits, line edits, proof reads…) and on top of that I have a deadline for book two rapidly approaching so working on that has been a huge distraction. 1) Don’t rush to send your work out to agents. Sit on it for as long as you can bear it, then re-read and re-edit until it’s as perfect as it can be. Listen to your gut and never send anything out that is ‘good enough’. 2) I used a literary consultancy very early on in the process as I wanted to hear what a professional thought about my work rather than my mum! I paid for the cheapest critique and received some positive feedback which gave me the confidence to push on. It’s not for everyone but for me, it really helped me to conquer that self-doubt and it was worth every penny. 3) When you’re not writing, absorb as much as you can through your ears. Listen to the radio, listen to podcasts, listen to people chatting around you and always, always read your work out loud when you’re editing.